TV Commercial. Emotional story depicts the life of a father and son. When the boy's father dies, he is a grown man. He receives a note from his deceased father along with his father's life insurance telling him how much he loved him. Er, what is a CPF Special Account? Women should pay more attention to investment and family finance due to their longer lifespan and prevent a crisis during a divorce or sudden death of sole bread winner. Consider a life insurance cover of either whole or term with the child as the beneficiary while setting aside money for a good education because it will cost more than $200,000 in 15 years time to seek for foreign education . Money should also be set aside for emergency fund with at least 6 months of family monthly expenses. Instructions should be organized and people should be informed where things like record of bank accounts, investments, insurance policies, wills are and easily accessible. Steps like CPF nomination, will writing, mental capacity act are things which can be done to ensure a smooth transfer of wealth. Contribution to CPF SRS (Supplement Retirement Scheme) allow claim for tax relief for those who pay income tax and it will be a stream of income with others like rental, CPF Life plan and other investments. A loss in the stock market can have a big impact on your retirement plans. Learn how to protect your savings. Many people fantasize about retiring early, but the reality may not be as pleasant as the fantasy. Early retirement may not be strictly voluntary, but may occur under pressure. Because business are constantly cutting costs, restructuring, and downsizing to increase profits, employers offer “early retirement” packages as incentives to encourage older, highly paid employees to retire sooner than planned. The sooner you begin planning your retirement, the better off you will be. Whether or not to take early retirement is not an easy decision. You must analyse your financial resources and estimate what your expenses might be after you retire. Consulting with a financial planner to guide you through the decision-making process is a wise choice. Calculate the amount you can expect to receive after you retire and the difference between that amount and early retirement amount – how will that difference decide your future lifestyle? There isn’t a retirement strategy which can suitable everybody. It has to be tailored made with individual’s risk profile. People also believe that they will not spend much during their retirement years but actually they will as more leisure time means increase in spending. Inflation should be factored in when using benchmarks on retirement income. Financial planners can help to do simulation to see how different inputs can affect the outcome. A main decision is how much money should go into risky assets which are decided not just by number figures but also emotion like fear of market crashes or inflation. Lockbox strategies and glide path are two approaches which can be used to help early retirees to make a decision. Retirees with huge savings which require modest growth rates can consider government and government-linked bonds, bonds funds, rental property, single-premium insurance plans. There is no ideal early retirement product but some might say a job which you enjoy is the perfect early retirement plan. Singapore will face the same retirement issues Japan face today as we are approaching aged society from a ageing society. Retirees must be prepared to return to workforce or delay their retirement unless they done their retirement planning during their younger days. CPF Life was introduced to provide a regular payout for as long as you live because with medicine and technology advancement, the probability of outliving your savings and assets are much higher. However, to ensure comfortable retirement, other sources of retirement income are required. Cover the biggest cost in retirement by transferring some of the risk to insurers with a hospitalisation and surgical insurance plan. Don’t underestimate cost of health-care or nursing cost as medical expenses are higher for person above 65. If you plan to retire at 60 and expected to live till 90, there will be 30 years without a pay cheque. So make sure there is a serious calculation of retirement income instead of just rough estimation because it will be impractical to re-enter the workforce when you realized that you don’t have enough money. It is going to be harder to time the market, so rather than timing the market, stay invested after a market decline to gain from the subsequent recovery. Always try to balance investment performance of retirement portfolio with withdrawal to ensure that retirement funds will last. Inflation is going to play a very important factor when planning for your retirement funds as it can erode the value of your funds over time. Do not underestimate how big the impact of inflation on your portfolio. UPPER middle-class families in Singapore typically have four main lifestyle goals: replace the family car every five years, upgrade the primary residence at least once, educate the children overseas, and achieve financial independence by age 60 or so to enjoy a comfortable retirement lifestyle. But unless the family's combined household income is in the top 10 per cent bracket nationally, there are limitations and trade-offs to consider before constructing a realistic financial plan that includes all four goals. The price of new cars has fluctuated considerably over the years owing to COE, import duties, foreign currency exchange rates and so on. If we assume that our model family owns a 2-litre Japanese car which they replace every five years over a 40-year period, this is how the math works out in the Singapore context. At an average price of $120,000 (in 2010 dollars) for a new car, the monthly instalment for the car loan works out to about $1,000. The road tax, insurance and maintenance costs add up to another $500 per month. The cost of petrol, ERP and parking fees similarly may cost a further $500 each month. From age 30 to 70, this couple will have paid the bank close to $500,000 in absolute dollars ($1,000 per month over 480 months) for owning a new car and replacing it every five years or so. The price for convenience makes car ownership the top lifetime consumption item and drain on family resources. With the money spent on eight new Toyota Camrys or Honda Accords, you could send two kids to Princeton or Columbia, if they manage to get admitted. Let's paint a picture of a hypothetical couple's home ownership pattern. They graduate from university, work for a few years, marry at age 28 or 30, buy an HDB apartment for $300,000 and then upgrade to a private property by age 35. If we assume a very nice condo or even a terrace house, the purchase price in 2010 dollars would be about $1.5 million, without renovations. We can amortise renovations over the life of the house and treat this as an operating expense rather than as capital expenditure for the purpose of our analysis. Let's assume that the HDB flat was fully paid for at the time of sale in 2010 and that the proceeds were used as equity in the upgraded private property. At an average interest rate of 3 per cent pa, the $1.2 million mortgage over 25 years would result in a monthly outlay of $4,000 in cash and CPF. The interest element to the bank for the financing of the private home would be about $600,000 in total. It may appear that the borrowing cost for the home is comparable to the money spent on cars. However, there is a crucial difference - the home has an investment value in retirement whereas the cars depreciate the moment they leave the showroom. A very modest lifestyle aspiration indeed and realistic too. If you exclude mortgage payments, income tax, life insurance premiums, and the children's higher education costs, the model couple can live comfortably on $5,000 per month if they retire today. To make the retirement capital last till 90, without having to sell the family condo or terrace house, this 60-year old couple would need to accumulate at least $1.5 million today. 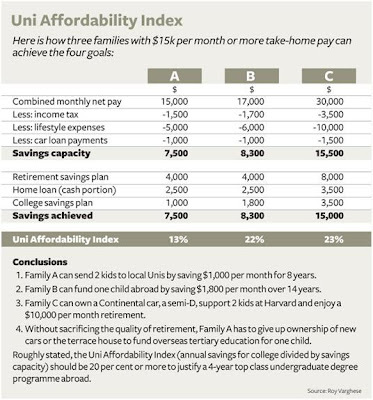 With a combined monthly household income of $12,000 by age 40 (see The Business Times March 20, 2010 'Double Your Income Every 10 Years'), it is possible for our hypothetical couple to save and invest an average of $4,000 per month over 20 years for the target retirement capital accumulation. This works out to about $1 million ($48,000 per year over 20 years) saved or twice the amount spent on cars or mortgage interest on the home. An average annual rate of return of 5 per cent compounded over 20 years will provide this couple with the nest egg for their retirement lifestyle. Apart from having a roof over your head, saving and investing for retirement is a non-negotiable financial goal. The issue for young and middle-aged parents is: can you afford the trappings of upper middle-class lifestyle (present and future) and educate your children abroad at a world-class institution? If you embark on constructing a comprehensive financial plan in your early 40s, funding your children's tertiary education is usually a medium-term goal. If you have 8-10 years to save and invest for the children's university education, there is a high probability this can be achieved without having to compromise your other financial goals. The math is fairly straightforward. If you wish to send your child to SMU, NUS or NTU, the cost is about $50,000 per child for a 3-year degree program in today's dollars. This is almost the equivalent of financing one new Camry per child's entire local tertiary education. In order for your child to graduate from Yale University, parents will have to shell out S$300,000 today for a 4-year undergraduate programme. If you have more than one child, good luck as you have to play Solomon and decide who stays home and who gets to go to New Haven, unless your resources are unlimited or there is a scholarship available for at least one child. There is no doubt that our children can receive quality tertiary education in Singapore despite the widely-held perception in some circles that a degree from a prestigious foreign university provides an edge over a local degree. There is no data available to suggest that an Ivy League education guarantees a higher lifetime income compared to local degrees. It may be that a child who qualifies for admission to an Ivy performs better in her career because she is a high achiever by nature. In conclusion, there are some lessons to be drawn regarding funding overseas tertiary education. If you can accept driving a smaller or used car, there is some hope of capping spending on car ownership. The affordability of housing is critical in limiting finance charges for owner-occupied private property. By the time you are 50, you will most likely have set money aside for your children's local or overseas education. This means that retirement funding is typically the last goal to be realized and for some, this may be leaving it too late. To fund a comfortable retirement lifestyle, a good number of upper middle-class families may need to trade down their private homes in their 60s to make up for the shortfall in liquid assets. I know many parents are happy to scrimp and save so that their children can enjoy the returns on a world-class education. And it is laudable to help our children realise their dreams and reach their potential with a branded college education. But unless we are confident about being financially independent in retirement, it is best to consider trade-offs for the big ticket items in life before promising our children an expensive overseas university education. • The writer is Foundation Adviser at ipac Singapore. These views expressed are his own and not ipac's. 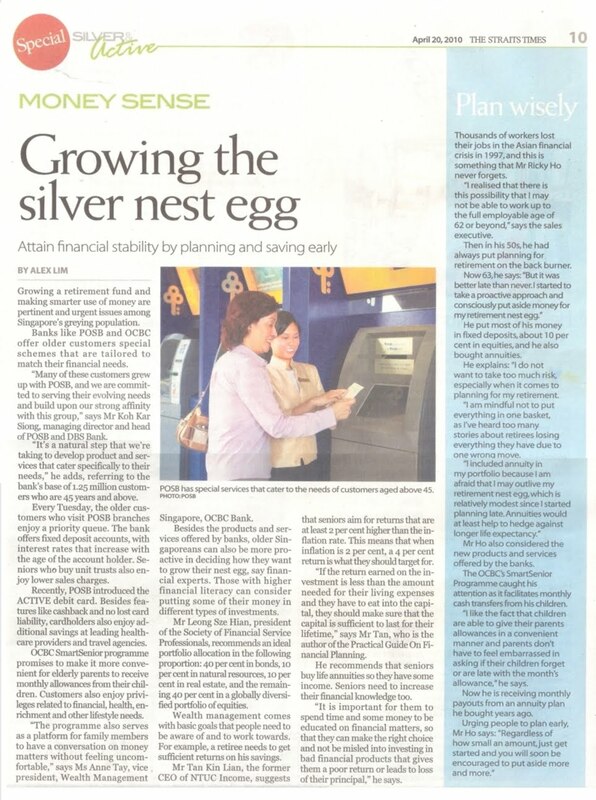 MORE Singaporeans are waking up to the harsh reality that an early, comfortable retirement is becoming more elusive. They recognise that the formula is simple but needs discipline: start saving and investing early. Recent survey findings on financial planning and retirement highlight the problem that most Singaporeans are just not financially prepared for retirement. As a result, they face a grim choice: retiring later or lowering post-retirement lifestyle expectations. With increasing awareness of the need to plug the savings gap, there is a heightened sense of urgency about accumulating wealth and protecting it. But to the uninitiated, the world of finance and investments is fraught with risk and uncertainty. Of course, there is no one investment solution that fits all investors. And that means many confused consumers do not know where and how to start. AN INVESTOR should first do a financial review to identify his insurance protection needs, investment risk appetite, investment timeframe and expected returns. On the insurance front, he should ensure that he is adequately covered for death, total and permanent disability as well as medical and health expenses. His choice of investments will be governed by how much risk he is prepared to take. He may wish to consider having a mix of equity and bonds in his portfolio. For example, an investor wanting to take some risks but with a fair dose of safety might consider a 50:50 split between equity and bonds. AS THE old saying goes, never put all your eggs in one basket. A diversified investment portfolio works on the same principle. By spreading your investments across different asset classes and sectors, you are not fully dependent on any one asset or sector. In that way, your overall investment risk and exposure to market volatility will be minimised. 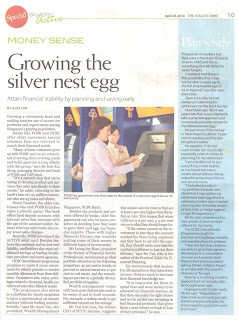 This in turn brings stability to your investment portfolio and can enhance returns, said Mr Tom Tobin, HSBC Singapore's head of personal financial services. Take, for instance, the performance of the three top stock market indexes over the past three years. HSBC said MSCI Korea, a single country index, was almost three times as volatile as MSCI World, which as its name suggests comprises global stocks. Another index, MSCI World Info Tech, which comprises stocks in the IT sector, was also more volatile than MSCI World. Volatility does not always mean higher returns of course - it might mean the reverse. For investors who can stomach a higher level of risk, experts advise that while one's portfolio should be diversified, it could include a small percentage that is invested in riskier assets. They also suggest maintaining a globally diversified portfolio, but keeping things simple and investing only in things you understand. INVEST for the long term, and try not to speculate by jumping in and out of the market. By doing so, some experts believe that your returns should be at least twice the rate of inflation. Guard against succumbing to herd instinct and try to anticipate overall market direction. After all, the latest investor behaviour report by United States-based research firm Dalbar revealed that most investors are unable to guess the direction of the market correctly after a bear market. These investors wrongly guessed that the market would not recover - an assumption based on fear. As a result, they stayed on the sidelines as the market recovered. IN RECENT years, retail investment tools have expanded significantly from plain vanilla fixed deposits, insurance plans and unit trusts to hedge funds, real estate investment funds and commodity funds. 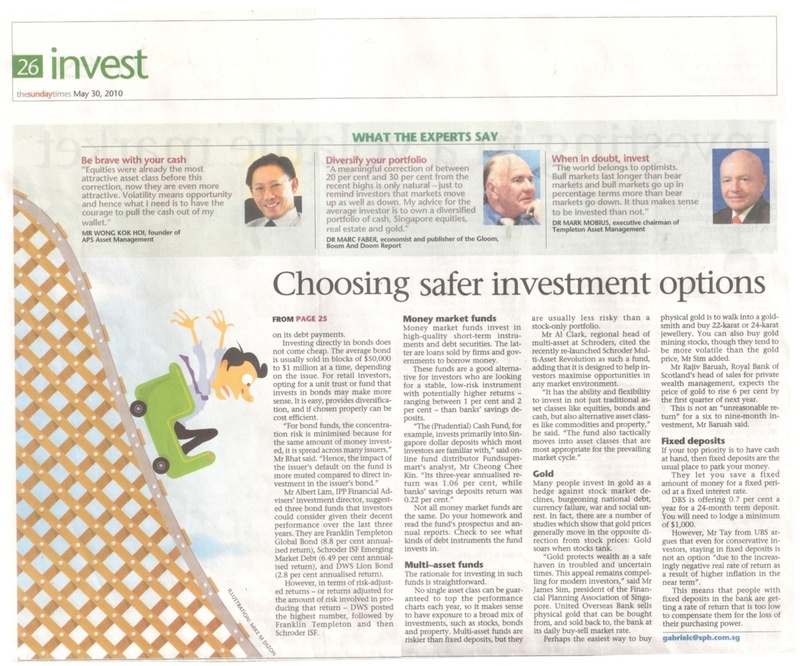 Of all the investment options, insurance is still the top choice of Singaporeans, largely due to the efforts of a 12,800-strong life insurance sales force. As at June 30, $20.47 billion or 66.8 per cent of the $30.63 billion that is used for investments by CPF members was invested in insurance. By contrast, $5.49 billion and $3.92 billion were the sums invested in stocks and unit trusts, respectively. HSBC Insurance chief executive Jason Sadler said those who are risk-averse or unfamiliar with investing may wish to take up an endowment plan which provides a 'reasonable return' and insurance protection. The plan typically involves paying a fixed premium for a fixed period, after which a payout is made. Also, such a plan provides a forced savings mechanism. He said investment linked plans - insurance policies where the funds are invested in the market - also offer the flexibility of adjusting the insurance coverage and investing in funds. Still, consumers should ensure they have enough funds to pay the premiums of traditional plans such as whole life and endowment because an early surrender is not advantageous. In some cases, if you surrender your policy after one year, you will lose the premiums you have paid. In fact, you are likely to face a loss if you surrender any time in the first 15 years which is before the plan 'breaks even". PEOPLE who practise the strategy of 'buy term, invest the rest' believe that by purchasing the cheaper alternative of term insurance, they can save money that can be channelled into investment tools such as unit trusts. This is particularly so for those who believe they can get better returns than the bonuses that insurers pay every year to traditional whole life and endowment plans. Term insurance offers pure protection with no investment element so the policyholder typically gets nothing when the policy expires or is surrendered. Such policies offer higher coverage at a lower cost compared to whole life and endowment policies. 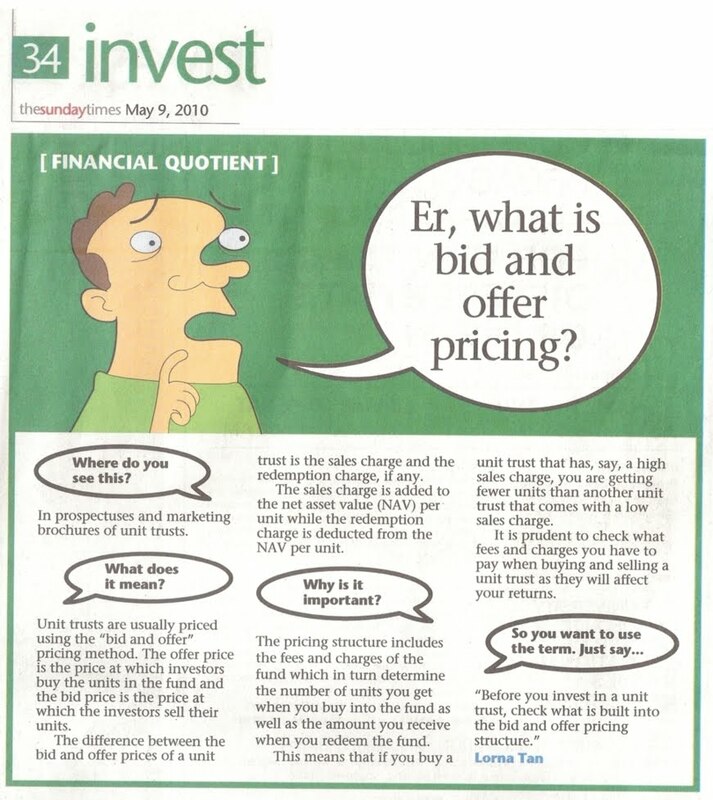 Mr Gary Harvey, chief executive of ipac Wealth Management Asia, provided this example: For a life policy of $100,000, the 20-year term premium for a 35-year old male non-smoker is only $400 compared with $2,960 for a whole life plan. 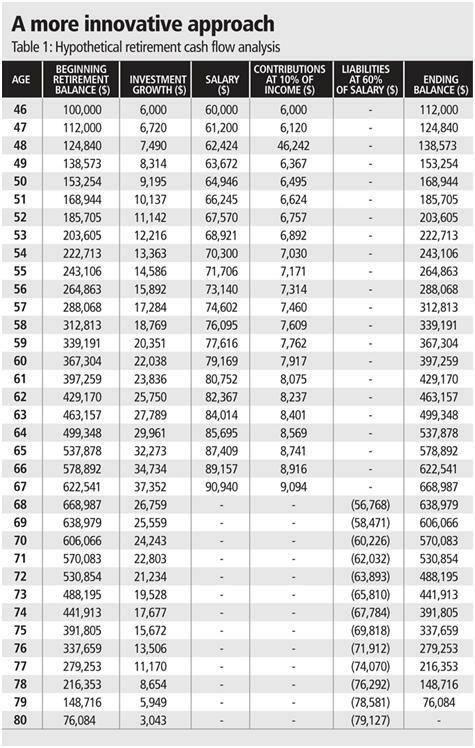 At 55, the whole life plan's projected surrender cash value is $58,860 which is less than the total premiums paid of $59,200. Let's say the customer purchased a term plan and invested the premium savings of $2,432 - after deducting annual fees - yearly in a conservative balanced portfolio with a target return of 3 per cent over inflation. After 20 years, his portfolio would be worth $81,469, giving him a neat profit of $32,829. In this instance, the portfolio comprised 27 per cent in global equities and property, 48 per cent in global bonds and 25 per cent in cash. Lastly, investors should review their investments at least once a year to assess if their risk and return profile is still relevant for their investment needs. Set aside funds for your basic needs before investing. How much do you have to invest taking into account your daily, medical needs and outstanding financial commitments? The less spare cash you have, the less risk you should take when investing. What is your investment objective and desired return? For example, is it for protection or to preserve your capital sum? Or are you investing to grow your capital? How long can you invest? Know your investment time horizon. The shorter your time horizon, the less risk you should take with your investments. Do not invest in products that will put your capital at risk or impose penalty charges for early withdrawal. If you have more time, you may wish to consider products with different investment periods so that you can have access to funds at different stages during your retirement years. How much are you prepared to lose? How much fluctuation and risk can you tolerate in your investments as market conditions change? Attain financial stability by planning and saving early for retirement as there is a possibility that you may not be able to work up to full employable age of 62 or beyond. It is better late than never. 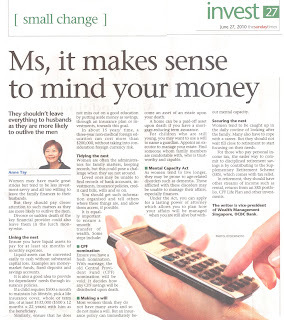 Singaporeans with higher financial literacy can consider putting some of their money in different types of investment. It is important to spend time and money to be better educated with financial matters to avoid being misled into investing in bad financial products. People should be aware of basic goals and work towards for wealth management. Death is a morbid subject, which may explain why many people have not made their wills. Another reason is the belief that only the rich need to have wills. Why bother when you have little savings or assets? The little you leave behind after you die can be distributed easily among those you have left behind. That was what I had always thought too, till the aunt of my friend Grace died six years ago. Grace's father had two brothers and two sisters, and the dead aunt was her father's younger sister. She was 57 when she had a heart attack and died in her sleep. She was a spinster and had spent most of her life looking after her sister's sons, and when they got married, their children. Whatever savings she had came mainly from a seamstress job she held during her younger days and gifts of money from family members. When she died, Grace volunteered to oversee the administration of her estate. By worldly standards, it wasn't much to boast about. At the time of her death, the aunt was living in her nephew's home. She had no assets other than $18,000 in a bank account. Grace obtained an application form for the administration of the estate of a deceased person from the Public Trustee's Office. The form has a list of beneficiaries who may make a claim to a dead person's estate. Intestacy rules state that since her aunt was single and her aunt's parents had died, her estate of $18,000 would be shared equally among her three brothers and sister who were still alive. If her siblings were dead, it would be shared among their children. Along with the completed application form, certain documents were also needed by the Public Trustee's Office before it gave its approval to the bank to release the $18,000. These were her aunt's death and birth certificates. As Grace's grandparents were dead, she had to submit their marriage certificate and respective death certificates as well. In addition, she had to get the birth certificates and identity cards of her aunt's siblings. Grace asked for the documents from her father and his siblings. That was when she hit a few snags. Firstly, her grandparents had died so long ago that no one knew where their marriage or death certificates were kept. So she had to declare those certificates as 'not available' in her submission. Secondly, her elder aunt had lost her birth certificate. The Public Trustee's Office told Grace that in that case, her aunt needed to make a statutory declaration in front of a lawyer to prove that she was indeed a natural sibling of the deceased. The third snag had to do with Grace's elder uncle's birth certificate. The name of his mother as stated in his birth certificate did not tally with that in his three siblings'. It was likely to be a human error because such certificates were hand-written in the 1930s. So her uncle also had to make a statutory declaration that he was indeed a natural sibling of the deceased. A family meeting was held to discuss the distribution. Grace's aunt was not keen to make a statutory declaration over her missing birth certificate as she was not physically mobile. She said she would give the share due to her to her younger brother, who is Grace's father. It took nearly four months from Grace's initial submission to the Public Trustee's Office before her father and his two brothers received a cheque each, totalling $18,000. The sum here may be small, but the episode illustrates how complex the process of inheritance can be if there is no will. I dread to think of the consequences if Grace's family had not been as cohesive. If there had been a will, it would have been clear who would get her aunt's money. The process of distributing her estate would have been faster and more straightforward. Money is often the root of many troubles splitting up families and causing unhappiness. So, do spend some time reflecting how your loved ones will be left to settle your financial matters when you're gone. Do them a favour: If you do not have a will, make one now. Setting goals and establishing a comprehensive financial plan is the starting point to acquiring and keeping long-term wealth. Before you begin setting goals, it is important to know where you are, so you can determine where you need to be. We do this by analyzing our current financial situation, set goals for the future, ad make adjustments in our lifestyles to allow our goals to become a reality. The secrets to acquiring and keeping wealth do not begin and end with the stock market. The stock market is only one of many strategies we use to accomplish our objectives. A solid financial plan not only prepares us for our retirement years, but makes life more rewarding during our working years. Retirement for some could last 30 years or more, and during this time you can expect to see market cycles of varying degrees. You can plan now and be prepared for whatever comes your way, or you can do nothing and be subject to a life of uncertainty. b) Setting goals: After completing and accessing your current situation, you can begin setting goals toward reducing your debt and saving for retirement. By reducing and eliminating debt, you can build your net worth more rapidly. The less debt you have, the more you can invest for the future. c) Implementing a plan: Using a retirement planer from a source like Quicken, you can complete this evaluation in about ten minutes. It’s easy, quick and comprehensive. By completing these three simple steps, you’ll be on your way to acquiring long-term wealth. 2. Self-discipline: The best advice in the world will not help you if you are not willing to help yourself. Acquiring and keeping long-term wealth requires focus and steadfast discipline. What you need to realize is the steps you take will have a direct impact on your financial future not only now, but many years down the road. If buying a new Toyota Sequoia is more important to you than paying off a credit card debt, then you have to live with the consequences of that decision. If keeping up with the Jones’ and portraying an image of luxury is more important to you than acquiring financial freedom, you’ll have to accept responsibility for that decision. Acquiring and maintaining long-term wealth is a process. There is no immediate gratification. But the rewards over time are well beyond the thrills of instant gratification. The satisfaction of knowing you have control over your own life will far outweigh the agony of knowing you don’t. Once you establish your financial plan, let it be your gyroscope. With a good financial plan and a little self-discipline, you will be well on your way to making your financial dreams a reality. This sounds simple enough, but actually it’s the toughest to do. The “Keeping Up With the Jones’” philosophy is more prevalent in our society than ever before. What these people fail to realize is this mentality will prevent them from achieving financial independence. Unfortunately, people have been indoctrinated by TV and newspapers with the belief that people who have money live lavish lifestyles. This may be true for the mega rich, but it certainly isn’t rue for the millionaires you don’t know. Would it shock you if I told you I know people who make $50,000 who have larger net worth’s than people who make $500,000. It’s true. Often, people who make larger incomes like doctors, also have higher debt payments. The more money they make, the more debt they incur. This translates into a negative net worth. On the other hand, the person making $50,000 realizes their income potential is somewhat limited. They live below their means, pay down their mortgages and build toward a positive net worth. Instant gratification can rob you of an early retirement and a comfortable lifestyle down the road. So the next time you’re tempted to keep up with the Jones’, go visit a retiree trailer park, because that’s where you might end up. Every month you sit down and pay bills, or have your bills electronically paid from your checking account. You pay your mortgage, utility bills, car payment, insurance, and credit cards. Are all these payments more important than paying yourself? Each and every month, get into the habit of paying yourself first. Open a savings account or a mutual fund with the understanding that the deposits in this account are like making a car payment. Under no circumstances is this money to be touched until retirement. If you do, remember you are robbing yourself. Treat the payments to yourself like a bill. Pay it, forget about it, act like it’s not even yours. Would you like to have a small taste of financial independence before retirement? Then eliminate all debt. At age 34, I was organizing our filing cabinet and ran across the amortization table for my home. Never seeing the schedule before, I quickly realized what it was and called for my wife who was a banker. In disbelief, I asked her “Am I reading this right?” I quickly became very angry at the fact that I would have to pay $256,313 in interest on a 30-year loan, and I only borrowed $139,900. That means after 30 years, I would end up paying $396,213 for a $139,900 home. As I began to dissect the calculations event further, I took into account that the average person only lives in a home 13 years before purchasing another. Calculating my equity 13 years our made me even angrier. At the end of 13 years, I would have made $171,600 in payments of which $148,444 was interest. That meant after paying in $171,600, I only had $23,156 in equity and still owed $116,744 on a $139,900 loan. I quickly went to work toward “burning my mortgage”. By age 40, the house was mine, and still today I look at debt as an abomination. The bottom line here is, work to eliminate debt. This includes credit cards, lines of credit and car payments. You’ll be able to accumulate wealth a lot quicker if you’re not making someone else rich first. Money is one of the leading causes of arguments and disruptions within families. When implementing a financial plan, it’s not uncommon for couples to have conflicting priorities when it comes to money. Divorce experts agree that money is the one thing couples argue about most, followed by children. But, there is a lot of reason to believe that the content of what couples argue about is not as damaging as how they argue. If acquiring and keeping long-term wealth is really important to you, then involving your spouse in the planning process really makes sense. If one spouse wants to grow wealth and the other is interested in keeping up with the Jones’, you are going to have serious problems. Couples must agree and work toward a mutual goal. Without a mutual agreement, struggles will occur, and sound investment decisions suffer. The financial impact of divorce on a person’s net worth can be devastating. Not to mention the effects on the family unit and children. Recovering from a divorce when children are involved may take years if it occurs at all. It’s important for couples to agree on a plan, and work together as a team when pursuing financial goals. Sure, to mutually agree, there has to be compromise. But compromise beats total financial ruin hands down. If you are not married and have accumulated a substantial net worth, then by all means protect yourself with a prenuptial agreement before you tie the knot. It has often been said that love is blind. Well believe me, money is not. Why do we all need to plan for our financial future? The answer is very simple. It costs more than $80,000 to send 2 children to local university for four years. You may have to spend close to $300,000 to buy a 4-room BTO flat. To fund a long and comfortable retirement, you may need to save $500,000 to $1 million or more, depending on how you plan to live in your golden years. We are really on our own when it comes to paying for university fees, retirement. It’s true that CPF will be there for us, but will the safety net be enough? Will the monthly payout of about $1,100 offered by CPF life be enough to retire? The more frightening part is that retirement is becoming a longer and longer period of life. Average Singaporean male is expected to live till 79 while woman is till 83. There is easily another 15 to 18 years worth of living expenses to cover. In fact, if you make it to 65, chances are you will live another 18 years or more. That will be lots of years of bills to pay for. Some of you might not like this, but this is the reality we live in today. We all have to do our own savings, investing and planning. Volatility has some wondering where to put their money as it is creating chaos on investment portfolio. But it is important to take a long-term view and not to do panic sales. Short-term volatility should not derail long-term investors from their long-term plans. There can be some adjustment to the portfolio by shifting to less risky assets, but a total exit from risky assets is a big NO. The reason behind this is because purchasing power will decrease due to inflation if you put all your money into bank deposits as inflation far exceeds bank deposit rates. 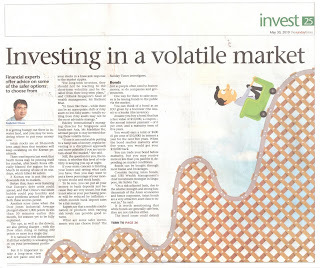 People are being advised to stay invested during volatile times. Do regular investing in a disciplined approach if one is uncomfortable doing lump sum investment or feel uncertain about the market. 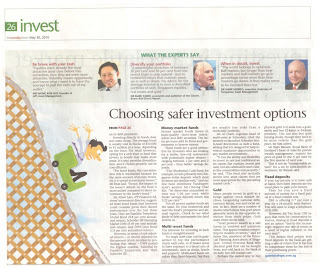 If limiting losses and saying whatever cash you have is your priority, there are some safer investments you can chose. One option will be bonds which are generally safe bets but not risk-free as bond issuer might default on its debt payments. Retail investors will find it hard to invest directly in bonds as the average bond is usually sold in blocks of $50,000 to $1 million. Good news is they can opt for unit trust or fund that invests in bonds to provide diversification. Money market funds, multi-asset funds, Gold, Fixed deposits are all alternative with potentially higher returns than bank savings deposits. Without any question, it will be procrastination as it is the most common cause of financial failure. It is your biggest enemy. There is always a tomorrow. It is much easier to put planning off until later than to start today. After all, you got lots of work deadline to catch, sending children to school and prepare for a trip this weekend. With so many today’s deadlines, there isn’t any time left to work on something whose effect will not be felt for 20 years. Thus people think they have plenty of time since they are still young. When you are in your 20s, you are more concerned about this weekend’s party and you will put it off until you are in your 30s as you figure you still got 40 years to deal with it. When you are in your 30s, there will be a new house, new spouse and new children and you are spending money like never before. Who can be thinking of saving at a time like this? So you put it off till you are in your 40s. When you are in your 40s, your children will be starting to enter poly or university. On top of that, income growth rate of yours will not be as rapid as before. You say let’s leave it to when you are in your 50s when you think major expenses are all behind you. Only to discover that your children are starting to get married (with you footing all the bills) and maybe need help in buying a house too. Your parents are getting old and they need some help too. Promotion can only happen when somebody retire or pass away as you are so high up in the company. This is where you will find cost of living has never been higher, so planning for retirement will just have to wait a bit longer. With a blink of the eye, you hit 65 and wish you had started some 40 years back. There is never an ideal time for planning, but there is always a reason to put it off. DON’T. Do it now. Procrastination will ruin your financial. Procrastination comes with a price. For some, the price of it is too huge for them to afford. It is not money that makes people financially successful, it’s time. If a 30 year old saves $100 every month till age 65, he will have $379,664 (10% yearly return). But if he waits till one year later then start, it will be $342,539. The cost of one year is $37,125, can you afford to lose this? SINGAPORE : Fund managers are turning more bullish on equities and said returns in Asia could rise 10-15 per cent per year for the next three years. They said investors who can stomach risk should be overweight equities in the medium term, but expect more volatility in the short term. They also said the markets could see good liquidity due to Asia's economic strength and continuing low interest rates in the West. Asian markets had their worst month in May since the collapse of Lehman Brothers in September 2008. Jitters from Europe's sovereign debt crisis forced investors to take money off the table and stocks tumbled. But analysts are turning more bullish on equities, saying valuations are now at more attractive levels. "Fundamentally, you see economic growth numbers coming through quite nicely. The recovery is taking place quite nicely in many parts of the world, especially in Asia and many emerging markets where the growth numbers are a lot stronger, and I think this is going to continue," said Vasu Menon, VP of Wealth Management Singapore, at OCBC Bank. For retail investors, observers said those with a low risk appetite should still be underweight equities, by holding cash and bonds. Those with a bigger appetite for risk, however, should allocate 70-80 per cent of their portfolio to equities. Experts said Asian markets are likely to return to levels seen before the recent correction by year end, and cite Singapore's STI as an example. 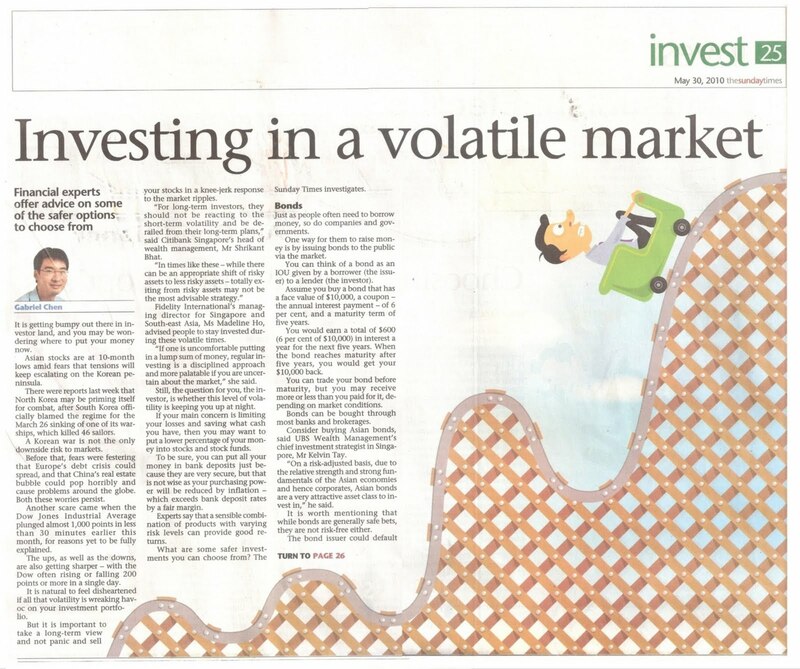 "I expect that the Singapore index will be higher in the end of the year than now. Perhaps we can test the 3,300 mark, but longer term I think the previous highs should be surpassed," said Anthony Hoe, head & senior fund manager at Phillip Securities. Some money managers, however, said investors should be careful not to pile into markets on the recent correction, but accumulate slowly over coming months. The most important element to building up wealth is to remember the basics of wealth preservation and investing. There are 5 tips to effectively to preserve and growing of wealth. Always remember to stay focused and stick to your long-term investment strategy. Chances of missing out on potential gains when market recovers are high if investor does panic selling. Volatility can be ride out by long term investing as historically, markets rebounded and can even surpass previous level. Nobody is able to predict performance of one asset class as different asset classes react differently to market events and cycles. Diversification helps you to buffer any impact and give you a aid during market cycle. Volatility is here to stay and it will increase over the years. However, if you stop investing, you are allowing money to shrink in value when inflation erodes purchasing power. Dollar cost averaging helps to smoothen the ups and downs in market volatility while it provide a lower cost of investment and reduce the risk of investing at a peak. Many Singaporeans are surviving from paycheck to paycheck, thinking they will keep their jobs and lifestyles. When they get a windfall from government GST refund or an inheritance, they are back to Orchard to spend it as fast as they can. If the sole breadwinner is out of job for 3 months, will the family car be repossessed? If he is still jobless after 6 months, the home mortgage will be in jeopardy. The odds of winning the next TOTO or 4D are going to be so low that you will probably not able to win. However, in your lifetime, you are able to earn a small fortune. How much did you spend? Singaporeans are having higher income than ever before, but it brings along high mortgage balance, high credit card debt balances. If this is happening to you, you are running with the wrong crowd. It’s not what you earn that counts, it is what you keep after spending, inflation, and taxes. 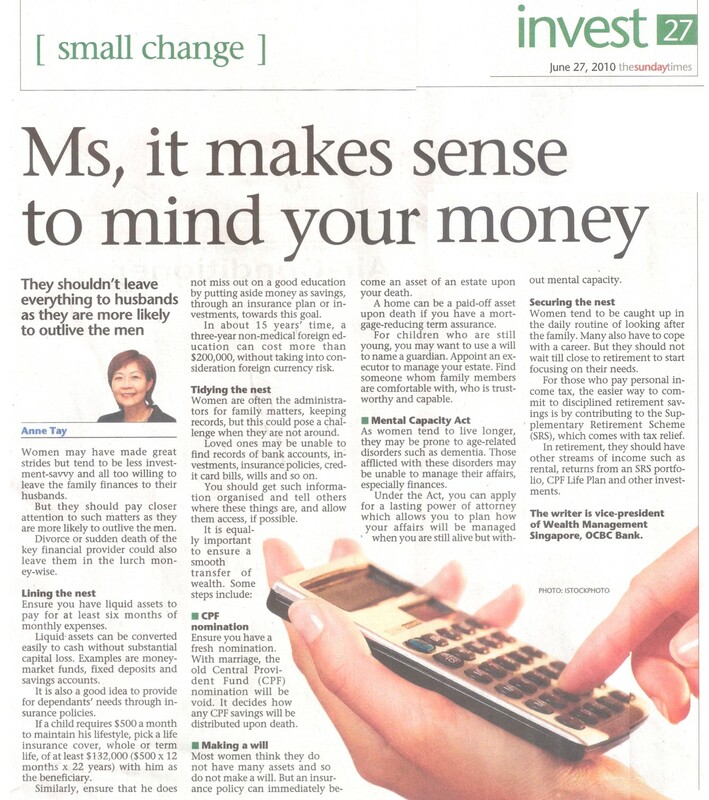 Too many people assume the bills will somehow get paid, their child will receive financial aid for poly or university, or CPF will foot the bill for a comfortable retirement. Are you better or worse off for your financial shape than you were five years ago? Are your assets or debts increasing? Which is growing faster? Are there any plans to protect you from losing 4% or more of your take home pay due to inflation? What are your contingency plans if your company bankrupt? Who will be bringing home food if you fall off the stairs next weekend, become disabled, and lose your earning ability? Start to pay yourself first. It can be as little as $50 a month and it can accumulate into a tidy lump sum in a few years. This concept of paying yourself first has made more people millionaires than people winning TOTO or selling hot stock options. If you still believe you cannot afford to save, ask yourself, if your parents were starving, could you afford to buy $50 worth of food a month for them? Of course you can. Are you not as valuable? Sign up for an automatic payroll savings deduction, because if you don’t see the extra savings, you wouldn’t be tempted to spend it. INDIVIDUALS are becoming increasingly responsible for the outcome of their retirement solutions, as the world moves away from Defined Benefit towards Defined Contribution schemes. It is essential that individuals are equipped with the adequate tools to make appropriate decisions when constructing retirement solutions, to ensure that they maximise the probability of delivering a sufficient and stable income. As we have always emphasised, simply recommending 100 per cent equities for an individual with more than 10 years to retirement is not a responsible solution. 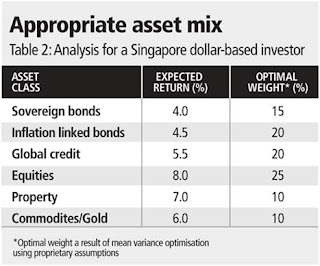 Attention needs to be given to the potential range of outcomes this asset mix can deliver - some favourable or, as the past 10 years have shown, some very poor. A more responsible approach needs to be taken to make sure that the solution can perform in all market environments - not just an equity bull run. A useful starting point is to consider the liabilities that the individual will encounter in retirement. There will be significant variation between individuals, depending on the expected lifestyle. But the basic exercise requires making assumptions on potential future payments for discretionary and non-discretionary items. Cash flows for needs such as housing, food, clothing, health, transport, entertainment and travel can all be estimated and, from the aggregate sum, an assumption can be made about the individual's expected liabilities for each year after retirement. This can be a cumbersome exercise. A quick look through the plethora of 'retirement calculators' available on the Web shows the short cut commonly used is to simply consider future liabilities as a percentage of current income. This is a fairly neat solution to a complex problem, based on the logic that an individual's current salary is a good representation of the amount required to meet living expenses. However, the key point to then recognise is that the present cost of these payments will not be representative of the real cost. It is not reasonable to expect a movie ticket in 2030 to cost the same as a movie ticket in 2010. Any assessment of future liabilities needs to consider inflation. Once the expected liabilities are determined, the next step is to establish the appropriate asset mix that maximises the probability of meeting these liabilities. It is worth remembering that this is the money that an individual will live on in retirement, so the level of risk taken in the asset mix should consider the implications of significant under-performance relative to the expected liabilities. A prominent US academic recently advocated placing 100 per cent of assets in inflation-linked bonds. This solution has virtually no risk as the bonds are government guaranteed with an implicit link to keep pace with inflation. It is difficult to argue against the logic - but the unfortunate reality is that for the majority of individuals, this solution will not deliver sufficient funds in retirement. This is simply because most people do not have enough current capital, or ongoing contributions, to invest in low-risk - and subsequently low-return - assets to generate enough funds to meet retirement liabilities. Most people need to take some level of risk, with the expectation of capital growth helping to offset the deficit. 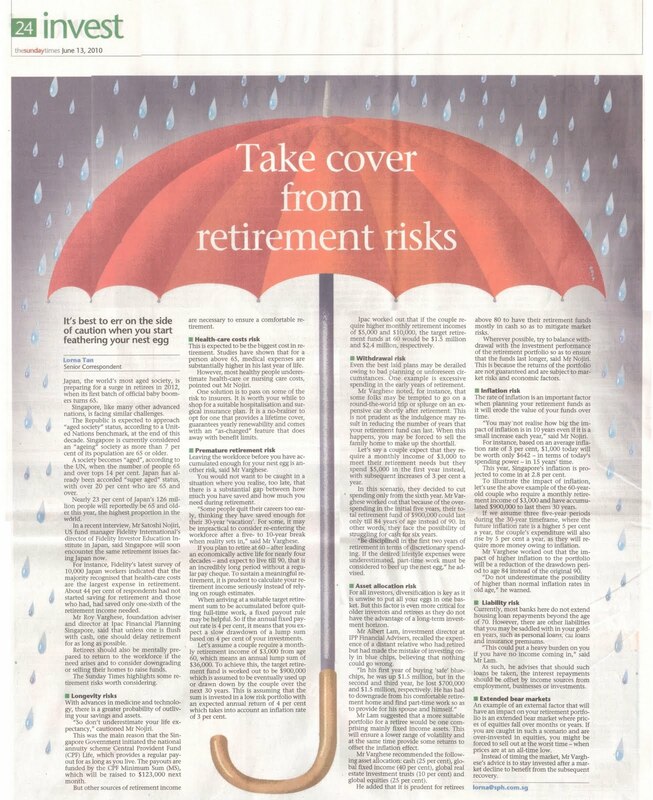 So here is the rub: How do we get enough returns to generate sufficient funds to meet retirement liabilities - without taking so much risk that the whole solution blows up and leaves the retiree substantially under-funded? Financial advice in the past may simply have been to load up on equities. Hopefully, we have moved on from there. The more innovative approach that is evolving is to supplement a core holding of sovereign and inflation-linked bonds with a diversified basket of risky assets that may include equities, credit, property and commodities. The goal is to create an asset solution with the highest probability of meeting the liabilities, with due consideration given to liquidity and inflation. A simplified example is laid out in Table 1 below. Take a 45-year-old individual currently earning $60,000 a year, with the expectation of 2 per cent annual salary increases until the retirement age of 68. This will result in a terminal salary of around $91,000 at retirement. The individual has chosen to contribute 10 per cent of his salary each year and feels he will need 60 per cent of his terminal salary to meet his expected liabilities after retirement (which will increase by an assumed inflation rate of 3 per cent). The other fortunate input for this individual is that he already has $100,000 invested in his retirement account. The following solution assumes an investment return of 6 per cent in the growth phase (before retirement) and 4 per cent in the drawdown phase (after retirement). In the past, retirement solutions sought to take significantly more risk in the growth phase (possibly recommending 100 per cent equities) without sufficient analysis of the potential shortfalls that this may produce in the drawdown phase. Solutions now are more risk-conscious in the growth phase, mindful of protecting an investor's capital to allow compounding to work its magic and provide sufficient funds for the drawdown phase. As Table 1 shows, this solution will fund the individual into his 80th year. The important question now to be answered is: What is the appropriate asset mix to deliver the return assumptions for the growth and drawdown phases? There is generally a consensus on the drawdown phase, where individuals are recommended to invest in liquid and low-risk assets - like annuities - to protect the capital that they have accrued. The contention is generally centred on the correct mix for the growth phase. 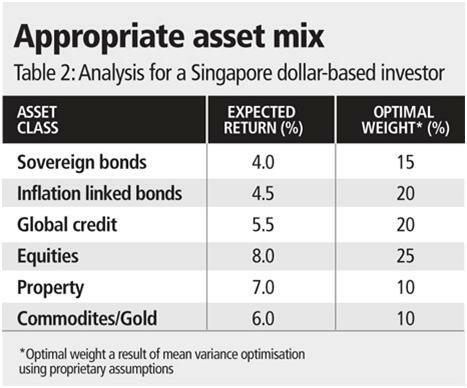 Table 2 shows the analysis for a Singapore dollar-based investor. Based on some fairly conservative assumptions, this portfolio is expected to deliver a 6 per cent return each year with significantly lower risk than equities. This increases the probability of generating sufficient funds to satisfy the liabilities expected, giving the individual greater certainty in being able to meet his retirement needs. This analysis is based on a hypothetical example and should not be construed as financial advice. But it seeks to demonstrate the evolution of constructing an asset mix for retirement that maximises the potential of achieving the expected liabilities rather than purely maximising return without due consideration to the impact of under-performing the liabilities. As an industry, the responsibility lies with financial advisory practitioners to provide sound advice to individuals, with an increasing level of choice when it comes to their retirement solutions. 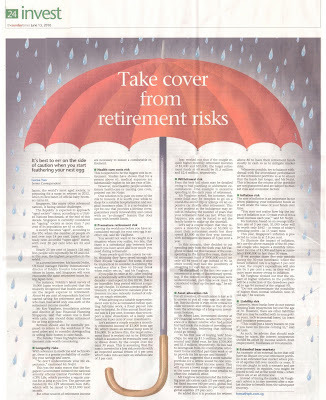 The advice needs to be relevant for all investment climates, with due consideration given to inflation, to ensure that the investment strategy of the individual has the highest probability of meeting its objective - a sufficient and stable income for retirement. Parents should start planning for children’s education funds as early as possible to minimize any shortfall which will be affected by inflation for education. There is a estimation that a three-year (non-medical) course in Singapore will cost $84,577 in 15 years’ time and $96,413 in 20 years’ time. For people who chose to build funds through investments, look for the track records of fund manager and the resilience of the fund during times of volatility. Insurance should not be neglected as well as there is a need to protect against unforeseen events such as total and permanent disability or pre-matured death.